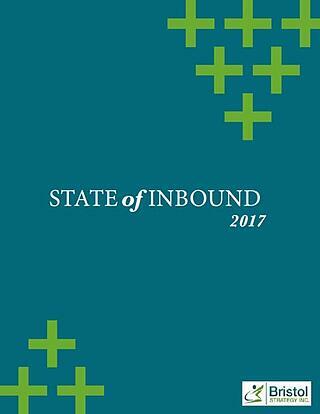 This year’s State of Inbound survey had the largest number of global respondents: 6,399 professionals in 141 countries. We asked what they do, why they do it, how they do it, and if it's working. Here is just a sampling of what you will find in this report! Consumer habits are changing ... drastically. That's the driving force behind inbound, after all. What your customers want today is different than what they wanted 10 years ago. That means we must change the way we market and sell to match the way people actually want to shop and buy. Lucky for you, we've been tracking these shifts for the past eight years. By completing the form to the right, you’ll find the 2017 State of Inbound report, covering the top challenges and priorities facing marketers and sales reps today, as well as a glimpse into future trends and channels that will soon affect the way we all do business. The inbound journey for marketers, salespeople, and executives alike is just getting started. Together, let's adapt for the age of the buyer -- the inbound way. Only 22% of respondents say their organization's sales and marketing relationship is tighly aligned. 69% of C-level executives, and 55% of individual contributors, believe their organization's marketing strategy is effective. We started by asking: What are your company's top marketing challenges? While advances in tech have produced new tools to improve sales results, reps are wasting a lot of time on activities that don't lead directly to new deals. Our sales data shows 57% of respondents spend up to an hour per day on data entry. Others indicated they need a lead scoring system to ensure they only work accounts likely to convert. Consumer buying habits are quickly evolving, and sales teams can only succeed by having the right processes, technologies, and trainings.